After Rivera, the keeper of the Guánica lighthouse, notified Atilio Gaztambide, the mayor of the town of Yauco, located six miles (10 km) north of Guánica, of the American invasion of Guanica, the mayor in turn notified Governor Macías via telegraph. 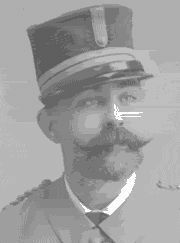 Governor Macías ordered Captain Salvador Meca and his 3rd company of the 25th Patria Battalion from Yauco to head for Guánica. 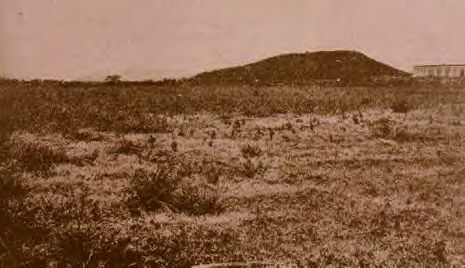 Meca and his men were joined by Lieutenant Colonel Francisco Puig, who assumed command of the Spanish forces at Hacienda Desideria two miles (3 km) from Guánica. Puig arrived with two companies known as "Cazador Patria Battalion", and they were joined by Puerto Rican volunteers, the Civil Guards, and mounted guerrillas from the towns of Yauco and Sabana Grande. Puig had the men positioned on both sides of the road that ran from Guánica to Hacienda Desideria and Yauco, as well as an infantry company positioned on a hill south of the hacienda. In the meantime, U.S. Brigadier General George A. Garretson, set out of Guánica with his men towards Yauco with the intention of capturing the Yauco rail terminus that ran between that town and the City of Ponce, the largest city in the southern region of the island. Garretson and his men arrived in the darkness of night and was informed by his scouts of the possibility of a hostile situation at the Hacienda Desideria. He ordered the Illinois company and two companies (companies L and M) of the 6th Massachusetts to occupy a small hill on his right that overlooked the hacienda. Major General Nelson A. Miles, upon learning about the lack of discipline of the 6th Massachusetts during the battle, ordered an investigation. The 6th Massachusetts was sent on a hard march from Guánica to Ponce as punishment and the regimental commander, a lieutenant colonel, a major, and a captain resigned upon request.